Reiki meditation for chakra balancing and inner balance. Your chakras are energy centres located within and around your body which get blocked for various different reasons. Your way of thinking has a big influence on your chakras. Negative thinking can block their flow and positive helps them flow freely. In this powerful meditation you will cleanse and clear your 7 major chakras with the powerful healing energy that is Reiki. 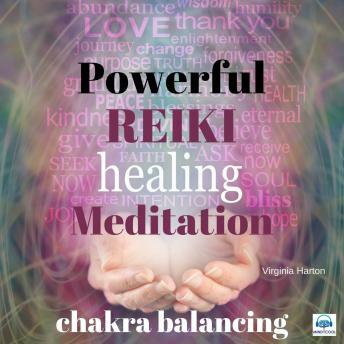 Virginia Harton will gently guide you through each chakra during this guided meditation.The intention for this chakra meditation is that all of your chakras will be cleansed and you will feel inner balance, have a crystal clear focused mind and feel totally grounded and embodied.